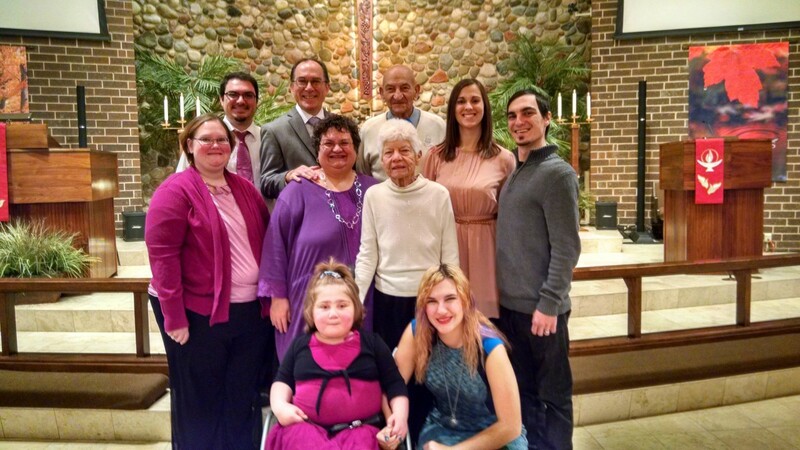 Thanksgiving Day held a surprise in store, but not for us. We were going to spend Thanksgiving Day bouncing between my parents’ and my sister-in-law’s houses, but my niece came down with a nasty stomach bug at the last minute. So we spent the day just at my parents’ house. We started the day by being late for church, which is nothing new for us. We weren’t very late, though, and only missed the very start of the sermon. 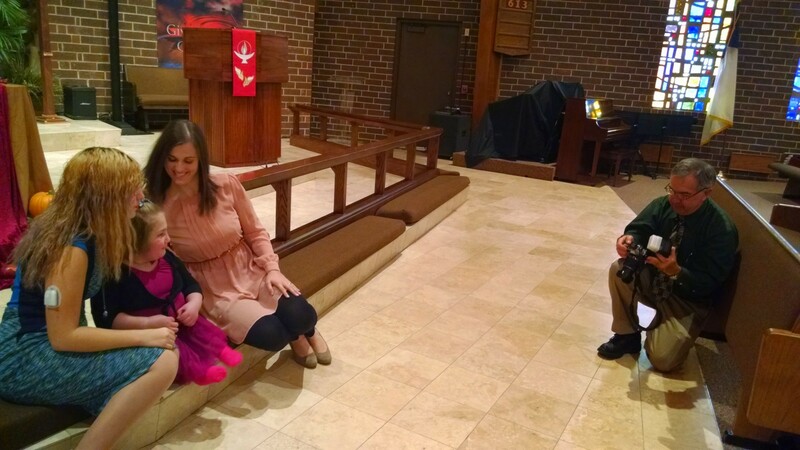 After the service, we took a bunch of Thanksgiving photos of all combinations of Eiches — just the girls, just the guys, and every other permutation you can think of. You’d think that a six year old would get impatient with this kind of thing, but Namine loves to have her picture taken. After pictures, we headed to my parents’ house for lunch. And we had quite the meal: my mom had made turkey and ham, stuffing with raisins (yuck! :p), mashed potatoes; my sister made bacon-wrapped asparagus and corn bread (in shapes — my favorites were the hedgehogs because they looked like stegosauruses); my brother’s wife made fruit salad; and my wife made Italian peas, cornbread stuffing, and green bean casserole. There was just so much to choose from — we even had several pie: apple, pumpkin, sweet potato (which I call “fake pumpkin pie,” because it looks like the real thing but once you bite into it, you discover that it is made of lies), and even some kind of peppermint square cake thing. 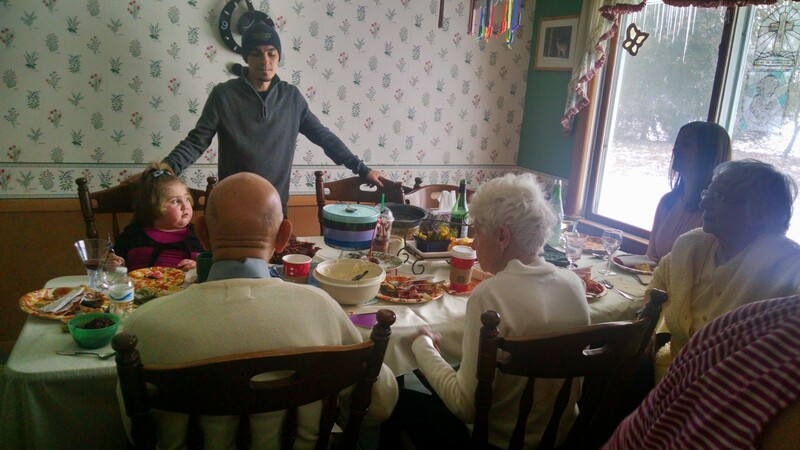 We had scarcely finished eating when my mom told us that she had just learned of a family — one that lived not five minutes away, at that — had no meal. Not “no Thanksgiving meal,” but nothing at all. No, that would not do. No one, especially not a friend of the family, should go without a meal, especially on Thanksgiving. One look at the dining room table said enough: there was more than enough food to go around. There were eleven of us (including a friend we’d invited who had no family in town) and we had not made a significant dent in the amount of food. You bet we packed up as much as we could. 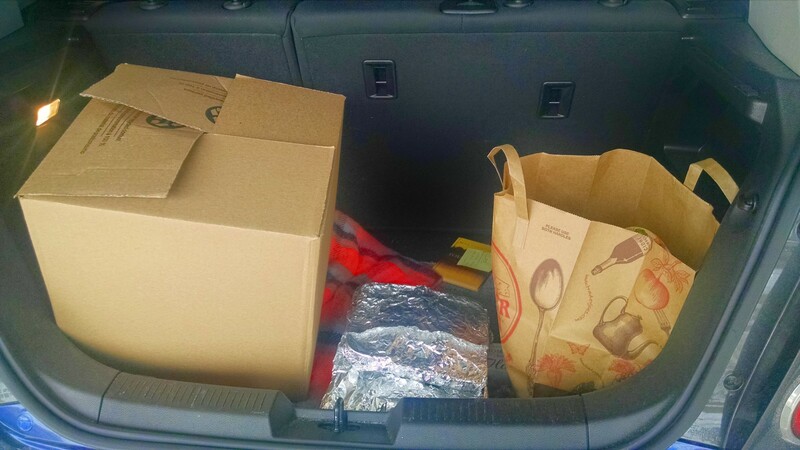 We filled an aluminum pan, a cardboard box, a grocery bag, and nearly half a dozen tupperware containers; we packed it all in the trunk of the car. It took four of us to bring in all the food. That's not even all the food. It’s so easy to hear about people who have less and think, “Oh, that’s too bad.” But it’s not difficult to give — even a little — and that can make a difference. None of us are rich by any means, at least in monetary standards. But even so, God has blessed us with so much. It’s all we could do to spread that wealth a little, to try to help someone else. If anything I’ve written in this post comes across as arrogant or self-serving — like I’m writing this to say, “Look at me, I’ve done a good deed! See how great I am?” — then I apologize. That’s not my intent at all. Since this is my blog (well, my family’s blog, but I do the majority of the writing), I write about as much as I can. And I wanted to write about this, but not to bring attention to me or my family because we’ve done such a good thing or because we’re so awesome. I wanted to write about it because we have so much, we’re so richly blessed with all the material possessions that we have, and we take all for granted so easily. I think it’s either fitting or ironic to realize this on Thanksgiving, of all days. (I’m not sure which. Maybe it’s a little of both.) We have so much, and it costs so little to give away even a little bit of that wealth. And even that little bit can make such a difference in someone else’s life. What a lovely family and lovely thing to do!